Garin Bader’s piano CD’s and relaxing piano music will take you on a musical and magical journey where the passion of his music and engaging storytelling will inspire your imaginations and transport your hearts and minds to a storybook world where you can be anyone, anywhere, at any time in without ever having leaving your living room or office. Musical portraits and landscapes evoke images of romantic settings and exotic adventures. This DVD is an enchanting musical scrapbook of Garin’s fantastic travels around the world. A special eight-page booklet of stories written by Garin along with specially selected photos captivates your imaginations. You’ll actually feel yourself whisked-away to exotic and romantic lands by the contemporary spirit of a classical master. One Heart’s Journey not only explores our world, but also our hearts. The storiesand music make it the perfect gift album for relaxation, romance, or breathing life into the young imaginations of your children or grandchildren. Click here for more details and listen to free piano music samples. The bestselling relaxing piano music DVD. Garin’s piano mastery musically moves you to a state of soulful Zen. There is no better way to relax and tap into your heart and soul. Click here for more details and and listen to free piano music samples. Romancing The Piano – This highly acclaimed DVD is a mixture virtuoso “war-horses” as well as beautiful reflective pieces by Frederic Chopin and others. Garin delivers the works of the classical masters with his powerful and heartfelt style. The classics will never sound more captivating than in the hands of this amazing virtuoso. Click here for more details and listen to free piano music samples. 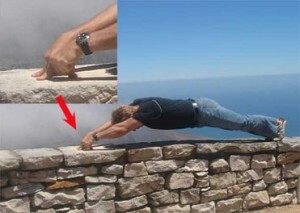 The Astonishing System that Instantly Gives You Super Strength and Speed. Achieve Your Power Zenith and order this amazing life-changing system. CoreForce Energy is a direct way to harness that 95% of both brain and muscular power that scientists say we don’t use. 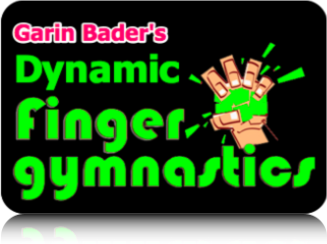 Super Hand Conditioning – Garin Bader’s Finger Strength Exercises is a dynamic 3-DVD course revealing the unique and powerful exercises Garin uses to give him extreme strength, flexibility, and dexterity in his career as an award-winning concert pianist, master illusionist, martial artist, sculptor, painter, and creator CoreForce Energy. No matter what you do, all the exercises will give you great benefits whether you do two finger pushups, play the piano, sculpt, paint, or just want to have the power and sensitivity to give a great message. These fun and highly detailed exercises will certainly engage your creative spirit and give you the sense that you’re hands are taking on a new life. These 3 DVD’s will give you a real understanding of how to flow your energy and also sit everyday and will reveal ways to help keep you from building up terrible tension in your shoulders and neck. You learn how even your seating position in some cases can give you debilitating carpal tunnel. And, in that case, you’ll understand how to correct the cause rather than quiet the symptoms. These exercises have been the cornerstone of his remarkable training in many arts and also the foundation of his world-class piano technique that has garnered him gold medals in thirteen international piano competitions in his career. This was accomplished by years and years of practicing 8-13 hours a day – and not a bout of carpal tunnel to slow him down. Virtuoso concert pianist, Garin Bader, is the winner of thirteen international piano competitions and performs live piano concerts around the world from Carnegie Hall to the London Palladium; from the famed Hollywood Magic Castle to Las Vegas. Unlock Your FULL Ultimate Human Potential!